ABOUT HYPERTENSION: Hypertension, also referred to as high blood pressure, is a condition in which the arteries have persistently elevated blood pressure. Every time the human heart beats, it pumps blood to the whole body through the arteries. The normal level for blood pressure is below 120/80, where 120 represent the systolic (peak pressure in the arteries) measurement and 80 represents the diastolic (minimum pressure in the arteries) measurement. Blood pressure is the force of blood pushing up against the blood vessel walls. The higher the pressure the harder the heart has to pump. Hypertension can lead to damaged organs, as well as several illnesses, such as renal failure (kidney failure), or heart attack. Hypertension may be classified as essential or secondary. Essential hypertension is the term of high blood pressure with unknown cause. Secondary hypertension is the term for high blood pressure with known direct cause, such as kidney disease or tumors. 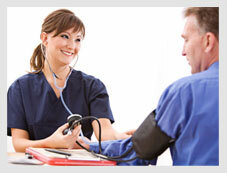 High blood pressure may be treated by changing lifestyle factors. The important lifestyle changes include losing weight, eating a healthful diet, exercise regularly and limit alcohol consumption. Extremely high blood pressure may lead to some symptoms, includes: severe headaches, nausea, chest pain, breathing problem, irregular heartbeat, blood in urine, dizziness etc. The exact causes of hypertension are usually unknown, there are several factors that have been highly associated with the condition includes: smoking, obesity, diabetes, lack of physical activity, high levels of salt intake, Vitamin D deficiency, stress, high level of alcohol consumption. 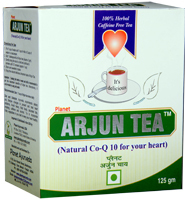 Herbal products and home remedies may be taken to control the blood pressure and it is good choice for healthy blood pressure. It is important that you keep yourself hydrated because absence of water from the body may lead to the fall of pressure. Avoid Alcohol because drinking too much alcohol can raise blood pressure. Hot cocoa has been found to prevent & control high blood pressure. You should eat 1-2 capsules of garlic twice a day. Practicing yoga & breathing exercise to control high blood pressure. Laugh as much as you can laughter is best medicine. 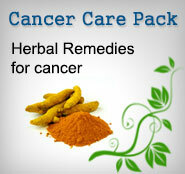 It can help you reduce stress & lower your high blood pressure. Cinnamon is another good choice for healthy blood pressure. Carrots, tomatoes & green beans are the good source for balancing blood pressure Eat them raw or steamed. Chocolate is useful for healthier blood pressure. Eating a little chocolate may help support healthy blood pressure. Person with high blood pressure should always follow a well balanced proper diet, rest & exercise. 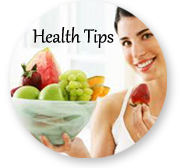 Fruits such as oranges, apples, mangoes, guava, Pineapple, watermelon are the best diet in such cases. Stress is a huge influencing factor in hypertension, so try to reduce stress level & learn to relax. Make sure you keep a regular check on your blood pressure levels. Meat and eggs may cause high blood pressure. You should take fresh & boiled milk only once. Lemon also keeps hypertension under control. Regular consumption of lemon juice without sugar & salt will serve to control blood pressure. Juice made out of raw spinach & carrot works to reduce blood pressure with 2 glasses twice a day. Dries & roasted seeds of water melon also serve to reduce blood pressure. Almond paste added to milk help to control low blood pressure. Chewing raisins soaked in water also help in low blood pressure. Nutrition food rich in protein & carbohydrates should be included in diet.